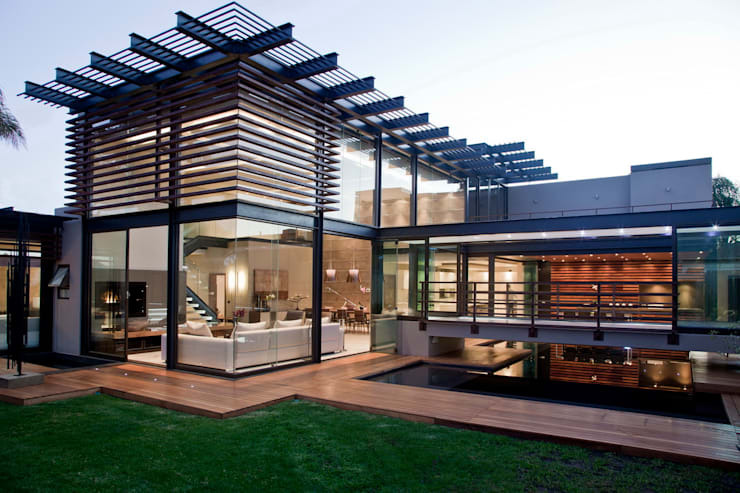 South African architect professionals are producing world-class designs left, right and centre. Neighbourhoods across the country are packed with stunning homes, innovative architecture and cutting-edge design. It's hard to even know where to start when it comes to the range of talent and creativity that's out there. Today at homify, we are going to try however. We are going to look at five of the top homes and explore just what sets them apart from other beautiful designs. Because it's important to celebrate homegrown talent and celebrate the beauty and diversity of South African creations! The Kloof Road House needs absolutely no introduction. 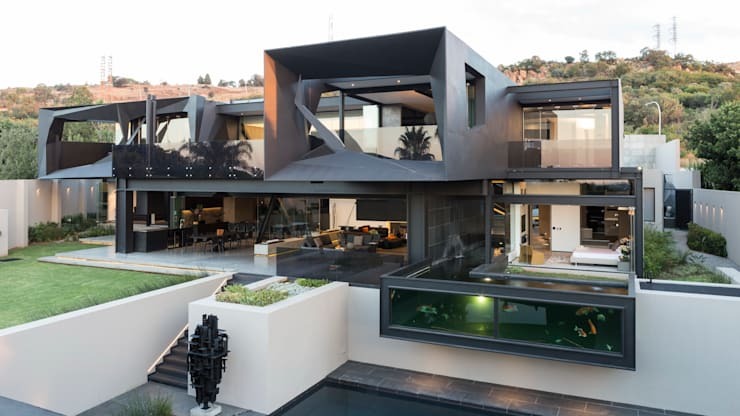 This home is stunning beyond measure; a mixture of architectural mastery and creativity, the owners and designers at Meulen Architects worked so well together that they were able to produce what is nothing short of a masterpiece, right here in Johannesburg. This is the perfect way to begin this article, as it really sets the standard of beautiful construction in our country. This home, designed by T4 Architects, is a wonderful example of a classic yet colonial design. 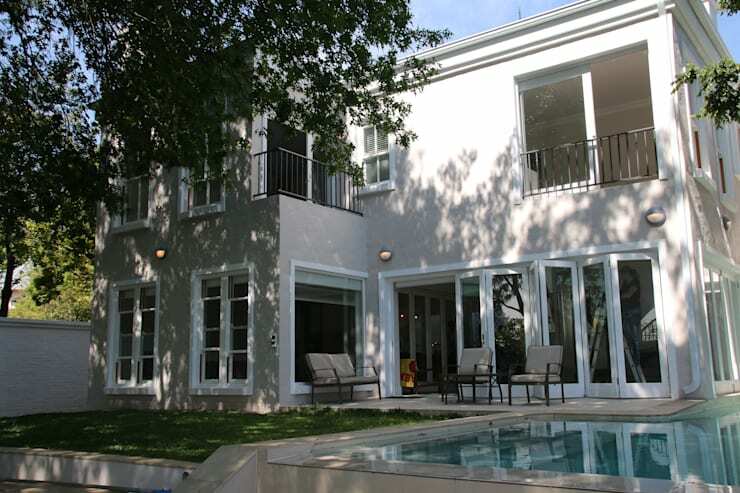 Nicknamed House Behr, it is positioned in the Johannesburg suburb, Bryanston. It is a very grand home that expands over two storeys. Yet it is very subtle and sophisticated thanks to the pale grey facade and white finishes. We can also see how this home makes use of wide open spaces thanks to the large balconies, the big terrace and the large glass windows and doors that open up onto the exterior spaces. The swimming pool is one of our favourite spots of this home, which is shaded thanks to the large tree. It's furnished with some very cushy and lavish looking patio chairs that make us want to spend afternoons relaxing with a book just looking at this image! Designed by Architecture for a Change, this small and modern container house is as eco-friendly as it is sustainable. It is a prefabricated home that can be placed just about anywhere. It is transported by a large truck and is fitted with a kitchen, bathroom, bedroom, television, gas geyser and stove. 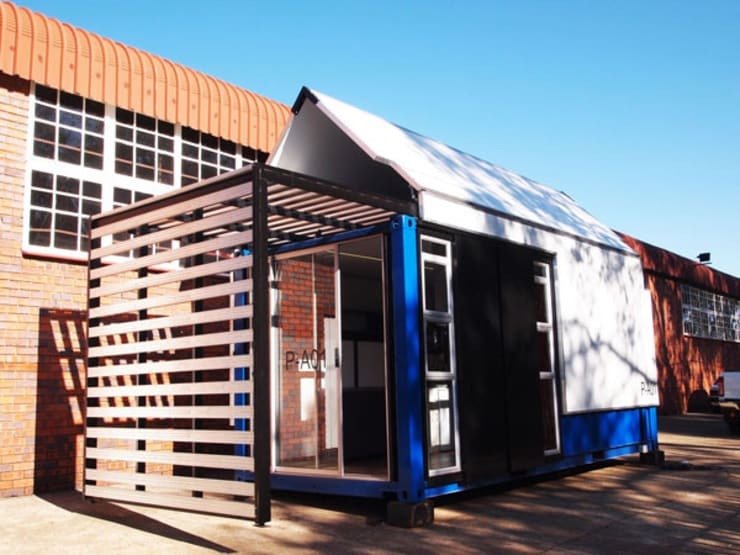 This is a great example of how South African architects are using innovation and ingenuity in their designs to create sustainable architecture. Don't you love the white and blue colours as well as the little terrace area that the architects have installed on the front section of the home? Even though the home is small, the residents can still enjoy the summer months in a little leisure spot! South African architects Nieuwoudt Architects bring a Scandinavian touch to this neighbourhood with this sleek and sophisticated minimalist home. The home is designed to sprawl across one floor with a very flat roof. The light wooden facade complements the chic white exterior walls. The interior spills out onto the grey stone terrace, opening the home up onto the beautiful garden. With the gorgeous South African climate, it's easy to see why local architects like to make the most of the natural surrounds in their designs! 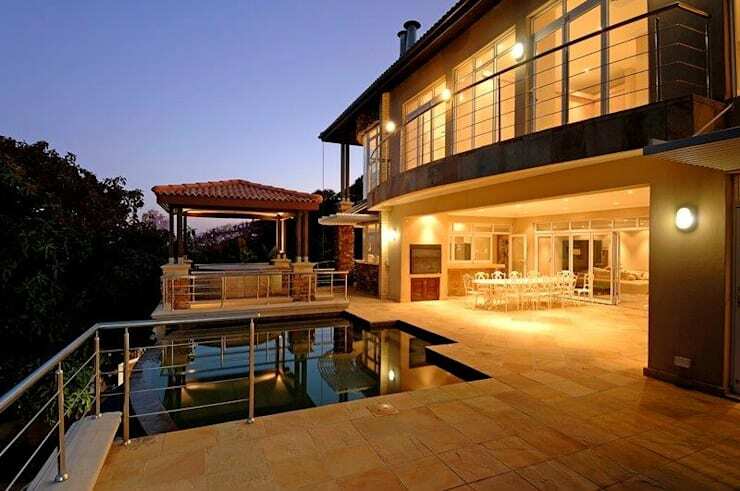 Have a look at this Eastern Cape home with champagne views to see what we mean. In order for South African architecture to truly embrace the views available to it, you'll find that terraces are very popular! Here we can see a wonderful example, in this Balito home, designed by TJ Architects. A home spills out onto a large, tiled patio that features a gorgeous, dark infinity pool. There is plenty of space for entertaining here! There is enough space for an outdoor dining area, an outdoor living area and a place for lounging in the sun. Don't you love the chic and modern terrace furniture? If you like this terrace area, have a look at these 6 easy steps to the perfect terrace. 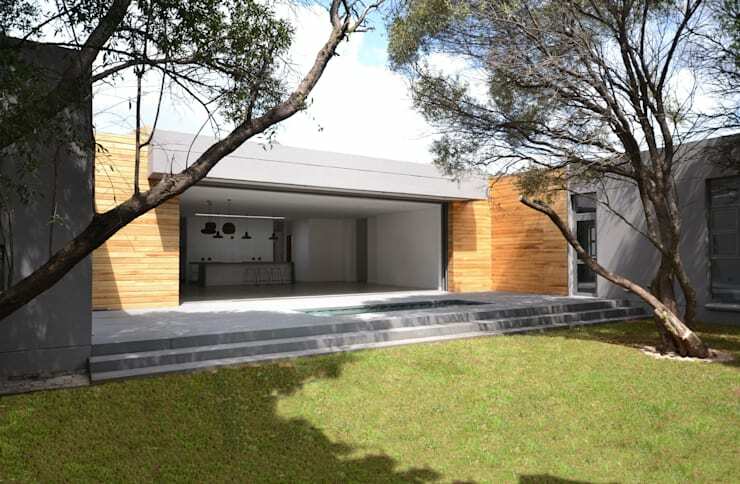 Meulen Architects are well known across Johannesburg for their grand designs and we can see why! House Abo is an extraordinary piece of architecture with it's large glass walls, metal finishes and wooden platform. Do you see how the designers play with volumes and space here, creating different dimensions ? The glass walls allow for a seamless transition between the interior and exterior spaces so that the family almost feel like they are one with nature. These designers also ensure that the lawn and garden is very carefully manicured and landscaped. A garden design is just as important as a house design, contributing to the overall look and feel of a space. Which other South African houses do you love?